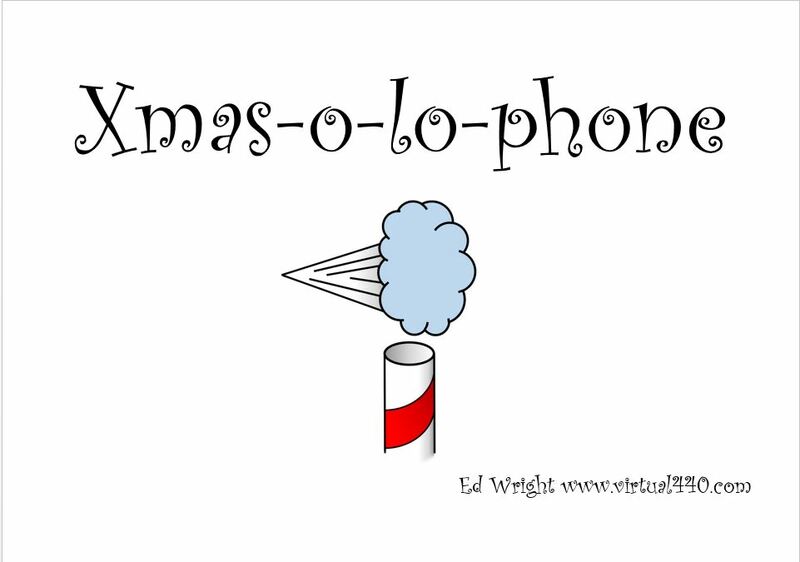 I’m going to set up a Christmas ‘xylophone’ between the trees. 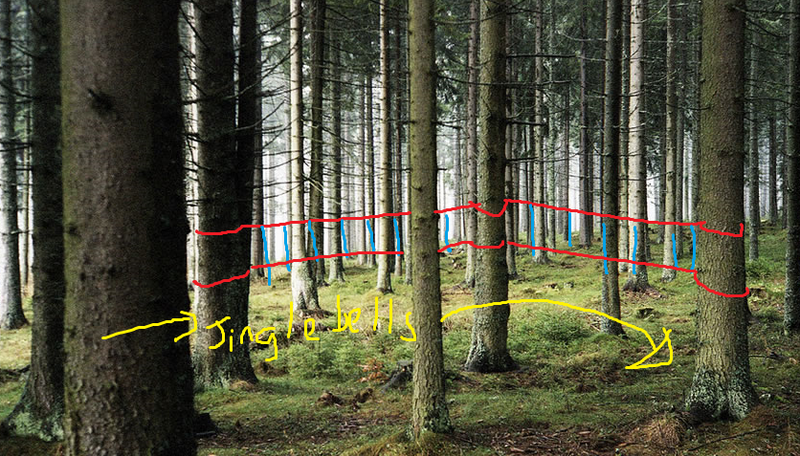 This will consist of a series of hollow (tuned) pipes hung length ways between the trees, suspended on rope or chord. The overall effect will look similar to a rope ladder slung sideways. So, each rung is a note of the tune, as you run along blowing or tapping them they play the tune, they will also be spaced so that the rhythm works properly e.g. the third note has twice as big a gap to the next ‘rung’ compared to the previous note. It would be good to set it up in a horseshoe (probably more realistically a V) shape between the trees so that is can be run around in a loop. The trick is working it out so that it is dead easy to play.